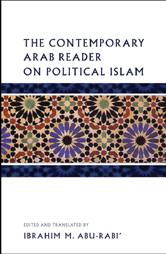 The Contemporary Arab Reader on Political Islam brings together the writings of highly influential figures in the field of Islamism in the contemporary Arab world, many of whose writings have never been available before in English. 27. ‘Abd al-Qadim Zalloum - How Was the Caliphate Destroyed? 29. Ahmad al-Raysouni - The Moroccan Islamic Movement: Rising or Declining?